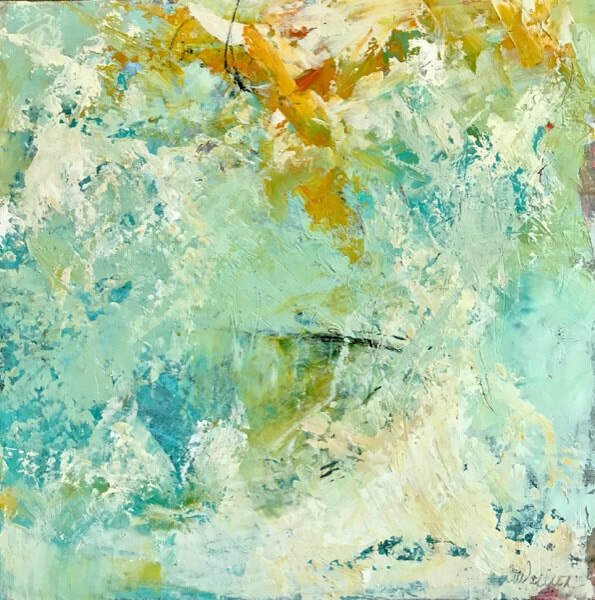 Through writings and bold marks traveling in and out of the layers of oil and cold wax, Asheville artist Cindy Walton captures action, energy and quiet musings of nature in her paintings. "Your painting is breathtaking. I get an immediate sense of calmness—like I was relaxing at the Gulf of Mexico. This is a piece of art that will hang proudly in my home and one I leave to my children."